I’m walking the dog with my ten year old daughter the other day when she says to me, I don’t just want to be school smart. I want to be people smart. Did someone at school bring that up to you? No. I just thought of it myself. I congratulated her on being wiser than half the adults I know. An acquaintance of mine works in the internet security field. He’s obviously knowledgeable (evidenced by the fact that I can’t make sense out of what he’s saying when he starts getting technical), but after a layoff several years ago, he has been unable to find a regular job despite countless interviews. Instead, he pieces together a living through freelancing. He blames this on employers who don’t know how to hire. But he is the one at fault. He’s one of these people who is technically smart, but people stupid. He doesn’t read non-verbal cues, he lacks tact when voicing his opinions, he rails against authority. When in a conversation with him, he doesn’t understand when he is talking over your head, is being rude, or that you are signaling that you need to end the discussion. He’ll follow you around the room even after you’ve excused yourself. These traits are not uncommon amongst people with an aptitude for computers, science, math, etc. Some studies even suggest that their brains have a lot in common with the brains of people with autism. He may even be someone who has never been diagnosed with a high functioning autism such as Asperger’s Syndrome. Regardless, the fact remains. What is keeping him from professional success is not his inability to do the job, it’s his inability to work well with others. As my daughter would say, he’s school smart, but he’s not people smart. I used to work for an engineering firm. Many of the owners of the company, people who reached the pinnacle of their careers, would tell me they were B students. They would admit that they were good, but not great, engineers. So why were they so successful? Their ability to foster product teams, be responsive to clients, present complicated topics concisely and simply. They were more than just workers, they were leaders. Schools are beginning to catch on to this. My daughters’ elementary school teaches them techniques for resolving conflicts and getting along with others. Medical schools have introduced bedside manner into their curriculums. Still, there are plenty of parents who are more concerned with test scores and grades, and plenty of employers whose main consideration when hiring is a candidate’s degrees and GPA. Not that those criteria aren’t important, but they have to be looked at as part of a whole, larger dynamic with regards to predicting success. When an employee hasn’t worked out, it’s rarely because they couldn’t do the technical aspects of the job. Mostly, it was because of their inability to work well with others. I’m not concerned that my daughter will be school smart. She’s intelligent. She’ll do fine. I am much more concerned that she’ll have those people smarts she mentioned, which are much harder to master (I’m still working on them after all these years). I know, as my daughter told me, that these smarts will bring her success both personally and professionally, regardless of where life takes her. A moment to brag (which is a Dad’s prerogative). Last year, a woman whose daughter was in class with my daughter approached my wife. Her daughter had been struggling with various subjects. My daughter would hand her notes with words of encouragement and support. It meant the world to this girl and her mother. I guess I don’t have to be concerned about her being people smart, either. 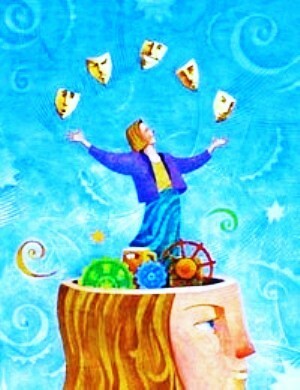 This entry was posted in What's New and tagged Emotional Intelligence, EQ, People Smart. I’m often asked this question by job candidates, usually with the hope that the answer will be no. Cover letter writing can be an arduous and time-consuming part of the application process, especially if that cover letter never gets read. So most job seekers are disheartened when I tell them to add a cover letter, even if one isn’t requested. According to the Saddleback College Resume Survey, 53 percent of employers required a resume, while 30 percent had no preference as to whether you had a cover letter or not. Since you have no way of knowing whether a cover letter is desired (unless the application process requires one), it is best to err on the side of caution and write one. After, all, if the employer doesn’t want one, they can always just ignore it, but if they want one and don’t see it, you may not get an interview. Not surprisingly, the same survey found that 75 percent of employers wanted a cover letter that was no more than half a page and the shorter the better. This result confirms my suspicion that the vast majority of cover letters either go unread, or are merely skimmed. Employers are less interested in what your cover letter says, and more interested in the fact that you took the time and effort to put one together. At one point in my career, I was interested in relocating. I put the reasons why in my cover letter. Yet time and again, I was asked by interviewers, “Why are you looking to move?” Often, they didn’t even have my cover letter in front of them, just the resume. Still, if you are going to write a cover letter, you should write the best one possible. Being too generic is almost as bad as not having one at all, since it tells the employer you don’t care. Here are some steps to writing a concise yet informative cover letter. 1) If you can, address the letter to an actual person. You may need to reach out to the employer to get this name, and in larger organizations, it may not be possible. If you can’t get a name, addressing it to “Dear Hiring Manager” is always a safe bet. 2) In the introduction, include the job you are applying for and where you heard about it. Follow this with a statement about why you think you are well suited for the position. This may include your experience, skills, education, etc. Last, include the reason why you want to work for the organization. Don’t be shy about praising the organization. Flattery will get you everywhere. Include anything not covered in the resume that you feel they should know. For instance, if you had a gap in work history, explain why. Knowing that you were a stay at home parent or had returned to school will go a long way in alleviating any concerns. 3) In the body of the letter, select two or three key items from the job posting and speak specifically as to why you meet these qualifications. For instance, if they want someone with project management experience, add a sentence about a successful project you led and the results. Make sure this is in your resume as well, just in case the employer doesn’t read the cover letter. 4) Conclude the letter with a request to discuss the position further. Make sure you mention the best ways to reach you and thank them for their consideration. 5) As always, watch for proper spelling, grammar and punctuation. Also, ifyou are basing the cover letter off one you wrote for another position, make sure to change the organization name and other details. You would be surprised at how many cover letters are receive addressed to a person who doesn’t even work for us or with another company’s name. 6) Don’t get too personal. Employers don’t care, and don’t want to know, how many children you have or that you enjoy woodworking. Only reference personal information if it is relevant to the job. 7) Some people try to use humor to get the employer’s attention. This can work if you are trying to get a job in an area that requires creativity. But if you are applying for a job as a CPA or attorney, this could backfire if you come off as not serious enough. When it doubt, keep the tone professional. Finally, don’t spend too much time on a cover letter. I’ve witnessed job searches spend days crafting the perfect sentences, choosing just the right words, agonizing over every detail. Remember, the employer may only spend a few seconds skimming that letter you spent hours writing. The precious time you have for job hunting can be much better spent. This entry was posted in What's New and tagged Cover Letters, Saddleback.